YardEdge talks to Canadian-based Jamaican author Martin Mordecai about his life, philosophies and his latest work entitled Blue Mountain Trouble . YardEdge: Why are you a writer? Martin: I’m a little uneasy at calling myself ‘a writer’, though I’ve been putting it on official forms for the past year or so, and when I cross borders, because one has to be something, right? A friend of mine who is a writer, once said that you can’t call yourself that until you’ve published two books. Well, as of this month, I’ve finally done that. As to the why of it: I’ve scribbled away at things since I was fifteen years old. My first job was at the Gleaner, and I’ve always been involved with journalism, the media, books – the written word has been a constant in my life. Martin: I’ve never, except in daydreams, wanted to become a writer. I’ve just, as I said, always scribbled: poems (in my youth), stories, at least three novels begun, only one completed. But not, until the last few years in Canada, consciously going about the discipline and busyness of writing. 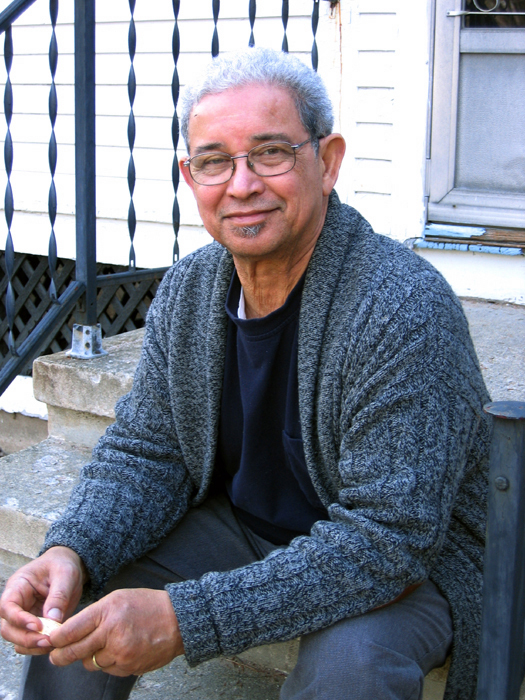 Martin: I don’t have enough work to describe – one reference book on Jamaica, written with my wife Pam (a real writer, who has been the main breadwinner in our family for many years from the proceeds of her writing), and now Blue Mountain Trouble . Apart from those, there have been a few stories and poems published. Not enough to show a pattern or anything like that. Martin: I don’t yet know when it will be out in Jamaica. I can safely say April for the US and Canada, though I haven’t actually seen any copies in bookstores yet. Amazon has shipped some. BMT is the story of a family of small farmers who live in a remote mountain village. Twins, a boy and a girl, are the focus of most, but not all, attention. They’re eleven years old and the Common Entrance exam results (it’s set in the mid- to late-1980s) change their lives. It began as a bedtime story to my youngest child, who is now 34 years old. (I write slowly.) He fell asleep quite quickly, but I was interested, and eventually started writing it down. From there it just kept growing. YardEdge: How did you develop your skill (s) as a writer? Martin: By writing, but perhaps more importantly, by reading. The one influences the other. I write (at least in early drafts) what I’d like to read. I’ve read constantly throughout my life – history, fiction, memoirs, some (mostly, to be frank, West Indian) poetry, newspapers – and, in some subliminal way, it all feeds into what I write, fiction and non-fiction. Martin: I can’t speak to influence. I’m still too close to what little I’ve actually written. I’d like to write like Gabriel García Márquez, but then, who wouldn’t, and who can? In terms of influencing thought and language: Vic Reid. Kamau Brathwaite. Derek Walcott. Pam Mordecai. Truman Capote. Olive Senior. Isak Dinesen. Martin: To write? Usually a phrase, read somewhere, or an image. But sometimes money. YardEdge: What kind of response/feedback/success have you received in your career so far? Martin: I haven’t really had a ‘career’, but the response to both Culture and Customs of Jamaica and Blue Mountain Trouble has been gratifying. Martin: Finding silence. Writing faster. Martin: Writing faster. God’s smile. Martin: I’ve made money from writing, but I’m not a good marketer of my skills, such as they are. But books no longer sell themselves, if they ever did, so I will have to learn to flog it and myself. YardEdge: How do you compare living in Jamaica with living and working in Canada? Martin: My soul will always be Jamaican, but I’m now comfortable living, and especially working, in Canada. I don’t think I’d have done as much writing as I’ve done here if we had remained in Jamaica. On the other hand, I’d probably have done a lot more photography. Martin: Depends on who you ask. Some seem to think I’m a nice enough guy – they buy me drinks, anyway. And my granddaughter likes me. Martin: Pretty much what I’m doing now, writing and some photography. But I’d rather be doing it closer to our granddaughter. Martin: There’s a historical novel that I started even before Blue Mountain Trouble . I’d like to finish that. And there’s a book of short stories on the go. I’ve got grants for both, so I feel obligated to finish them. Martin: The prospect of a fresh cup of really good (sometimes Jamaican) coffee. And writing 250 good words. Martin: It changes. At the moment, based on what I’ve read over the last five or so years, I’d probably say The Autumn of the Patriarch (P.S.) , by Gabriel García Márquez. The patriarch dies in the first sentence, so nothing really ‘happens’ in the book. What happens, the suspense of the book, is in the language. It’s filled with terrible scenes, and yet I smile all the way through at the breathless virtuosity of the writing. Martin: I should have loved the people I love better. Martin: I’m not as nice as the people who buy me drinks think I am. Martin: “In the end, art is small beer. The really serious things in life are earning one’s living so as not to be a parasite and loving one’s neighbor.” W.H. Auden, Words to live by. You can contact Martin Mordecai at martin.mordecai [at] gmail [dot] com. 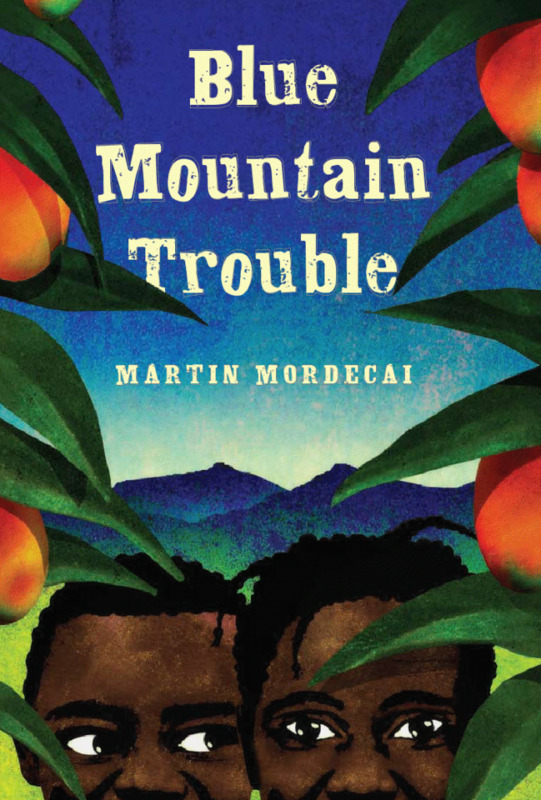 Blue Mountain Trouble by Martin Mordecai is available in Jamaica through Book Merchant Ltd. and on Amazon.com here . The publisher is Arthur A. Levine Books, an imprint of Scholastic Press. You can read a review at Quill & Quire. Refreshing and informative interview. “Uncle Martin” (as I used to know him) is very humble and yet clearly dedicated to his craft. The excerpt reads beautifully and is a nice snapshot of the tone of the book. This looks like a “must read” for lovers or Caribbean literature and Caribbean life. Very nice interview with Martin. The reviews of his book (there are now a few on the Internet) are excellent. The Book Merchant (reps. for Scholastic in JA) also tells me they have a few copies in Jamaica and will be sending them to bookshops for orders, but we can buy from them directly now. Very interesting interview- need more of this kind of thing online for West Indian authors, most of whom are somewhat enigmatic- the few that have public personas all seem to be jerks, e.g. Naipul and Kincaid. Good to see a successful Caribbean author who is also a down to earth likable person!